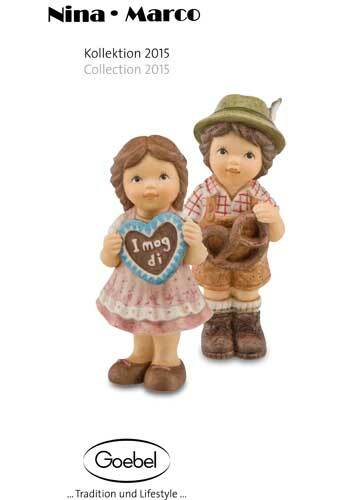 Big children eyes and a soft facial expression - these are the attributes of the popular Nina & Marco figurines by Goebel, which have been produced in close cooperaton with Julia E. Limpke since 1992 . 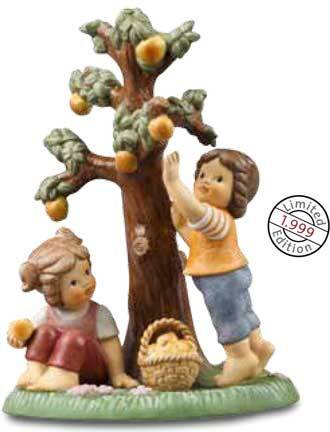 The most wonderful moments of children are captured in sketches by the artist, from which in painstakenly craftmanship the lovingly designed porcelain figurines are made: Children playing, romping around the garden or at special events such as first school day and communion. 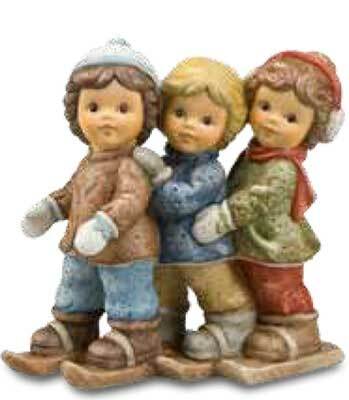 These little figurines are a must for your Christmas decoration. 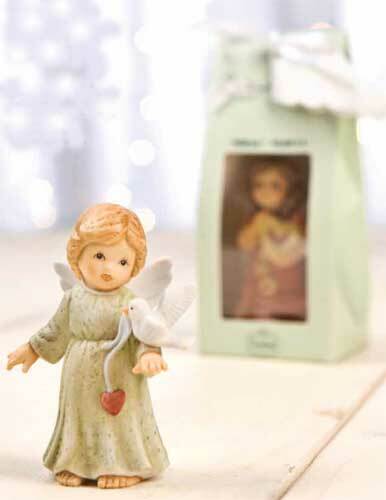 Cute little angels, cute ornaments and heavenly messengers… as gifts for best friends and loved-ones or as decorative articles for the festival Christmas table are always perfect! Buy Nina and Marco and help children. Wedding Dance is a limited edition from 1999 pieces with certificate. 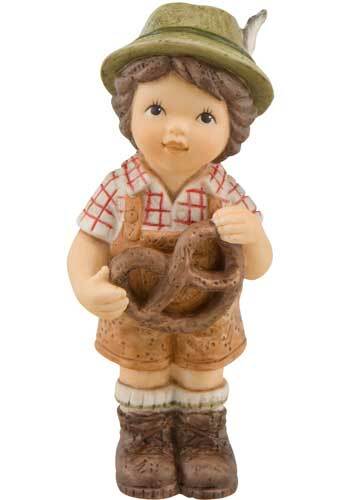 Height 10,5 cm. Also available The archway of roses which fits perfectly with the Wedding Dance. Everybody should have an own guardian angel. These celestial creatures of the Nina and Marco collection are symbols for friendship, good health, joy of life and much more. Lovingly packed in attractive gift bags they are a perfect present for beloved people. With a hanger to personalize! 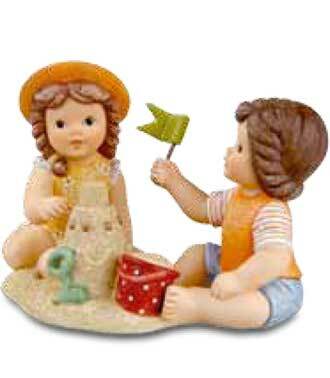 Nina and Marco and all their friends are much more than beautifully designed porcelain figurines to collect or give-away. 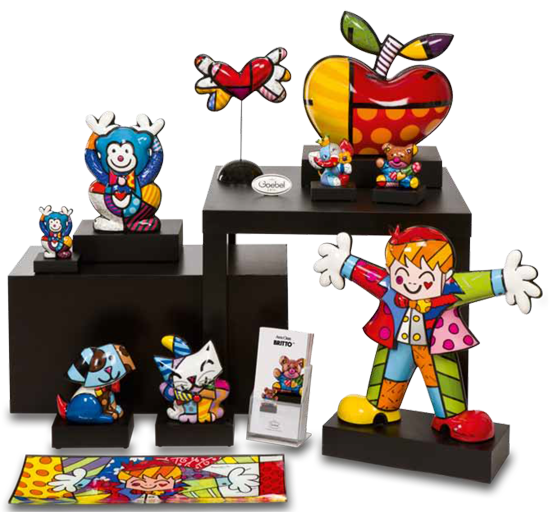 By purchasing a figurine of the Nina and Marco Collection you can also help to support educational projects for children in need as part of the revenues realized goes directly to the SOS-Kinderdörfer. Until today, almost 1.2 million Euro could be put available. The Nina • Marco collection by Goebel. Sico is the agent for Belgium and Luxembourg. 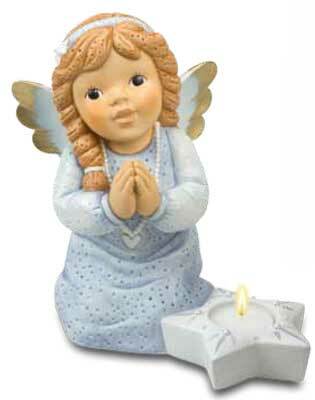 These cute little angels captivate everybody with their winterly charm. Their decorated dresses with ice flower ornaments and pearls give a valuable appearance to these articles made of finest porcelain.